Branch of the Smithsonian American Art Museum dedicated to exhibiting American contemporary craft, celebrating makers taking both innovative and time-honored approaches to their work. 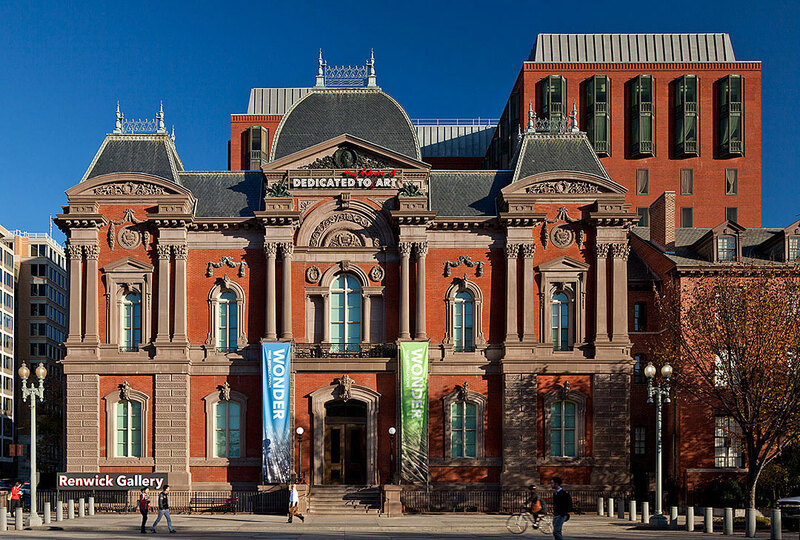 The Renwick Gallery is located steps from the White House in the heart of historic federal Washington. This National Historic Landmark was designed by architect James Renwick Jr. in 1858 and was the first building in the United States built specifically to be an art museum. Nick Cave's Sound Suit; Wendell Castle’s Ghost Clock; Karen LaMonte's Reclining Dress Impression with Drapery; Leo Villareal's Light Sculpture Volume. There is limited on-street parking at meters; several paid parking garages are available in the neighborhood.